Affiliate marketing is a popular way for bloggers to earn extra income. Simply put, you use your online presence to market products and services from other brands. When your audience makes a purchase through your channel, you receive a commission. Of course, how this works is quite simple. Actually making a profit isn’t quite so easy. It helps to get started the right way. If you are interested in making a profit through affiliate marketing, keep reading. Here are 17 surprisingly effective strategies. Chances are, you encounter affiliate marketing quite frequently. If you follow blogs, follow influencers on social media, or read review sites, you have almost certainly engaged with people who are making money to promote products and services. This is a good thing. It’s your chance to engage in some very inexpensive market research. Take notes as you surf. What appeals to you as a reader and potential consumer. Don’t stop at reading posts and clicking on affiliate links. Read the comments as well. Which affiliate marketing efforts are getting positive feedback, and which ones are creating scorn and skepticism. Not only is it easier to market products and services you truly believe in, but it’s also so much more believable. Your audience already trusts you. When you believe in the products you market, you can promote them with confidence, knowing that you aren’t steering your audience towards making a purchase simply because want to make a profit. Test out the products that you market. Take a hard pass on the ones that aren’t up to your standards. Retaining the trust and respect of your audience is always the better choice. Not all affiliate links last forever. Sometimes links go dead for a variety of reasons. The product may no longer be available, the program may have ended, or a company may have gone out of business. Broken links cost you money. Not simply because you aren’t making commissions, but also because it makes your content seem outdated. Make it a habit to check your affiliate links regularly. There are WordPress plugins and other tools that will help with this. Once you find a broken link, you can contact your affiliate partner for a replacement. If that isn’t an option, simply replace the link with something relevant. If you simply want to make money, consider creating an online store or becoming a drop shipper. But, if you have a blog or have otherwise worked hard to create a credible presence on the internet, you presumably want something more than that. This is why your content must always have top priority. If it becomes nothing more than a vehicle to sell products, you will lose your audience quickly. 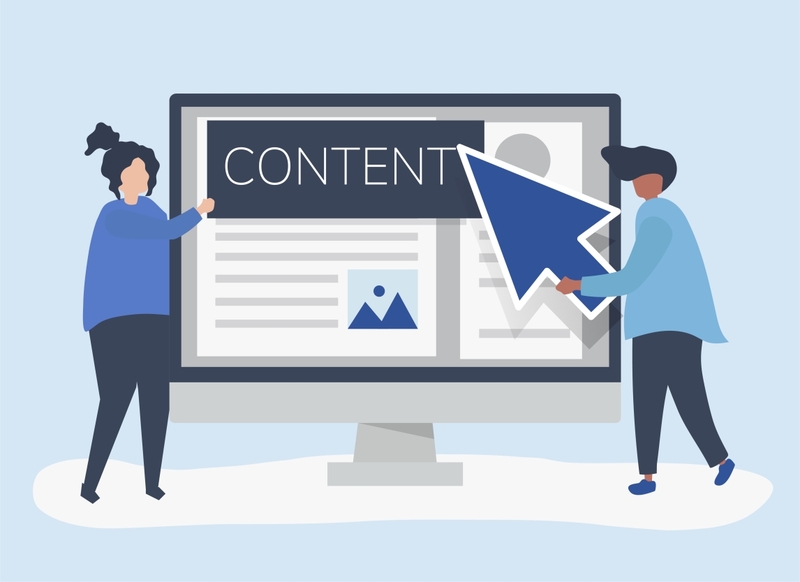 Focus on creating content that is relevant to your audience, that answers their questions and helps them solve their problems, and that is very well produced. Use data to back your points. Add visual content to draw in more audience members and keep them on a page for longer periods of time. Then, find ways to include affiliate links organically. There really aren’t any good one size fits all options for affiliate marketing. Every audience is different. They’re going to be attracted to different offers. If you choose to work with business owners directly, work with the ones that produce products that are relevant to your audience. If you choose an affiliate network, choose one that gives you some flexibility, or that targets a similar audience to yours. You can return to your audience personas to help with this task. If you haven’t created these, now is a perfect time. Your personas should include demographic information about your audience, their interests, their values, where they spend time on social media, and why they are interested in your brand. Use this information to identify the best industries on which to focus your attention. There are a few reasons for doing this. First and most obvious is that this is the best way to ensure that people click your links and make purchases. By connecting yourself to relevant products and services your use of affiliates will seem more natural and less forced. Amazon is one of the most popular and profitable sources of affiliate income. If you choose this option, one thing you can do to maximize your profits is to localize your Amazon links. What this does is simply send people to the appropriate Amazon site based upon their location. If you have a global audience, this can be very helpful. Fortunately, there are several tools that will automate this for you. If you use WordPress, you can use the Easy Azon. Not only will this geolocate your affiliate links, but buy it also gives you some nice look options for CTA buttons and text. Remember that people are much more likely to spend money if they are sent to a local link and a web page in their native language. Most people are wise to affiliate marketing. They know you get compensated when they buy things through your website. You might consider sweetening the deal a bit by adding your own incentives. For example, you can offer a discount on one of your products, give access to exclusive content, or enter people in a giveaway if they make purchases through your links. Not only has mobile use increased. So have the number of sales made through mobile devices. This is why it is so important to ensure that your affiliate ads display well on mobile and that the landing pages your audience ‘lands’ on are mobile friendly. If your affiliate partner can’t ensure that their content is going to work well on mobile devices, they may not be worth your time. Most people don’t resent your attempts to make money through your blog or website. As long as you are providing worthwhile content, people understand that you have to make a living. Affiliate marketing is prominent enough that people are used to it. Where people do get tripped up is when they share affiliate links without disclosing that they are profiting from those. It is for this reason that reputable websites always disclose that their posts contain affiliate links. Do the same. It’s honest, and your audience members will respect you for it. There are several different approaches you can take to disclosing your links. Some people will tag them to let people know they are clicking a sponsored link. Others simply include a standard disclaimer that is visible to readers. You can even take a direct approach, by asking people to make purchases through your website or use a bit of humor. Affiliate marketing isn’t the same as PPC advertising. People know that you may not always control the ads that appear on your page. You do have significant control over the affiliate links that appear, and in many cases will place them manually in your content as your recommendations. Because of this, it’s your responsibility to vet the companies you promote thoroughly. At a bare minimum, you should check the reputation of the brands that you recommend. But don’t stop there. Pay attention to audience feedback. It’s one thing if a few people have an issue with product quality or payment. It’s another thing entirely if several people have issues. It’s better to lose a bit of money by severing your relationship with a disreputable brand than losing the trust of your audience. Managing individual relationships with different brands, then collecting your commissions can be painfully time-consuming. That’s a lot to deal with on top of your usual content creation, promotion, and engagement. You may find it easier to work with an affiliate network. An affiliate network is basically a platform. 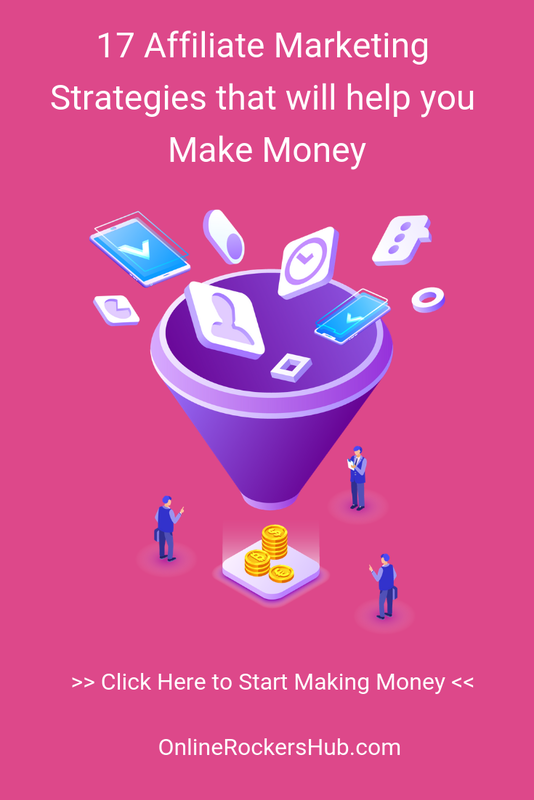 They aggregate offers from relevant vendors, offer resources to help you find the best partnerships, and take on some of the back office tasks related to affiliate marketing. Take some time to investigate your affiliate network options, then pick the one that is the best fit. Whether or not people will click on your links and buy the products you recommend depends mostly on you. If people trust you, they are much more likely to consider your affiliate links. One of the best ways to approach this is by establishing yourself as a credible blogger, user of the products you recommend, and reviewer. If people know that they can trust you to provide honest information, and they see you as an expert in your niche, your product recommendations are going to resonate that much more. Work to establish your blog, and create thought leadership before you monetize your content. If you have a truly great product you want to promote, consider using a live video to generate some enthusiasm. A live product demonstration, question and answer session, or instructional video is a great way to educate your audience about a product. You can also win people over with the live engagement that comes as a result. What better chance is there to answer questions, and get feedback about products you have identified as being a good fit for your audience. The first trick to profiting from affiliate marketing is to earn enough traffic in the first place. If you aren’t ranking high for the right keywords, you aren’t going to draw in people who are interested in the products you have for sale on your pages. Every good affiliate marketing strategy should include a solid SEO strategy. This will help ensure that you earn top of page search engine results, and get the traffic and engagement you need. You may be tempted to sign up with every affiliate partnership that’s available to you. This is a big mistake. It’s hard work managing these relationships. Instead, stick with a couple that you think are a good fit. Later, you can analyze the results, then try to create additional income streams. 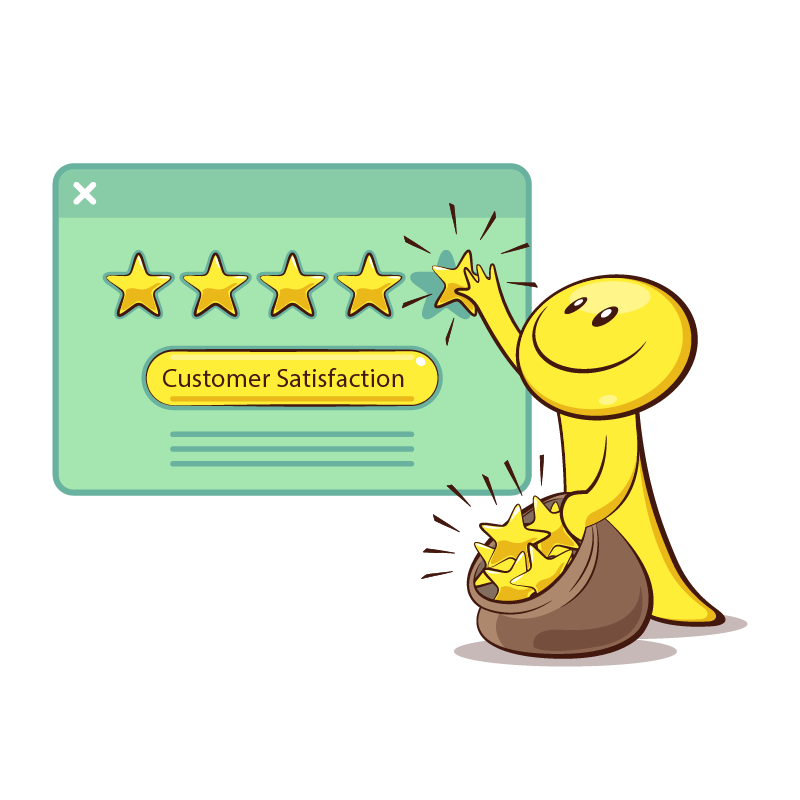 You can make money from the products you link without delivering a five-star endorsement. Your audience will see right through you if you claim that every single product is the best ever and that you never encounter any problems. It’s okay, to be honest about your experiences. If something may not be a fit for certain members of your audience, say so. If you find something about a product difficult or confusing, but the end results worthwhile, let people know what you experienced. For example, if you’ve got a blog on video gaming, you may not be a fan of every title that you’re asked to promote. It’s okay to say so. You can still use your knowledge of video games to recommend games that you know others will love. Once you gain any traction as a blogger or influencer, you are going to be bombarded with offers to promote products. 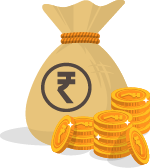 Many of these will come in the form of exciting offers and promises of great profitability. Don’t be distracted. If these programs are worthwhile, they will be around a month from now, six months from now, or a year from now. Focus on your active campaigns. Analyze the results. Then decide if you want to move on to something new. Affiliate marketing is a great way to earn money through your online presence. Done right, you can use this technique to increase a steady stream of passive income while maintaining your credibility with your audience. 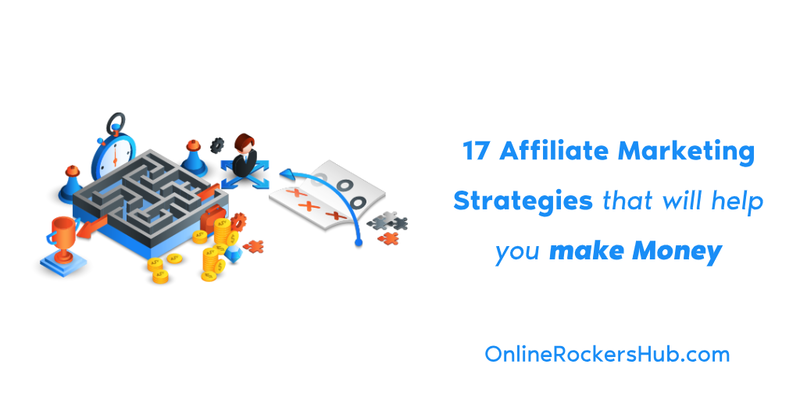 Follow the 17 strategies above to maximize the success of your affiliate marketing. Note: These affiliate marketing strategies are contributed by Linda Granes. If you want to contribute an article, then check our guest blogging guidelines. If you find this article useful, pin this. Linda is a professional writer and she loves to help students. She has spent the majority of her career in the writing industry, gaining experiences in areas such as editing and writing. Currently, Linda is a blogger at Studyton and Head of CD at WOWGrade. Linda also enjoys reading books and traveling. Its really great informative article. Thank for your sharing. You did a brilliant effort in publishing this informative article here with everyone. Thank you for this.